Many soft tissue injuries have resolving symptoms within weeks, but it can take several months to totally rehabilitate the condition. Most joints that are repaired surgically, usually take up to 1 year to fully heal. Strength gains during the first 3-4 weeks of rehabilitation (and workouts) are due to improved neuromuscular activity and not biochemistry changes to the muscle cells. It has been reported that it takes approximately 1 million repetitions of an activity before it is “automatic” in the nervous system. If you get injured and have Physical Therapy, stick to your HEP for the period of time that is recommended by your Physical Therapist. Recovery from an injury is a process that involves diagnosis, a treatment plan, and a home exercise program. In order to help patients return to pre-injury status, Physical Therapists begin treatment and training in the therapy center while also introducing exercises that should be continued at home. In many cases, therapy is helping rehabilitate while also addressing conditions that may have led to the injury in the first place. A successful recovery program includes a home exercise portion. Physical Therapists treat all kinds of conditions and are usually able to restore the patient’s function. The problem arises when the patient is not compliant with certain aspects of the overall program. The Physical Therapy program consists of protocols to address the symptoms that prevent the patient from living a “normal” life. Some of the most common symptoms are pain, weakness, lack of motion, decreased sensation and difficulty moving and performing daily activities. If you are injured and your doctor suggests going to Physical Therapy, you should expect to attend several sessions per week for several weeks. You need to dedicate yourself to the rehabilitation process because your body will heal more quickly if you are diligent and consistent with your participation and attendance. The body does not heal “overnight” and the ability of the Physical Therapist to treat you and get the desired results is partially dependent upon you and Mother Nature. Treatment in most programs ranges from the acute phase to the “finish line” where your body has returned to the pre-injury status. 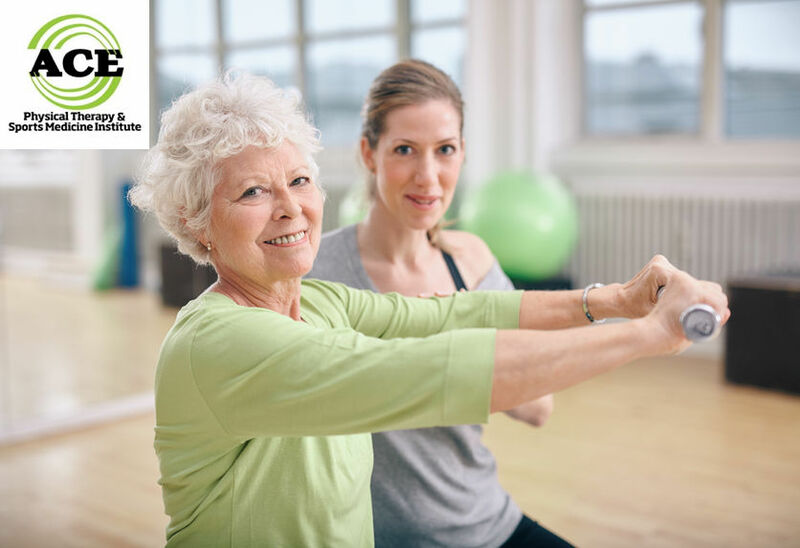 A large part of this program relies on the patient’s participation in a daily home exercise program (HEP) which should be performed during the formal treatment phase and for several months after the formal treatment sessions have ended. When an injury occurs the body activates a “protective” mechanism which is designed to enable the injured body part to heal. Unfortunately, this mechanism can cause the patient to suffer from the symptoms for a long time. The symptoms can create various problems that lead to a significant decrease in function and an inability to perform every day activities. When the symptoms are great enough and begin to force a modification of one’s activities they are usually more acceptable to seeking out medical help. The symptoms must be reduced or resolved for the patient to return to pre-injury status, but this might take a lot longer than expected depending on the severity of the symptoms. The symptoms might produce a significant reduction in strength, motion or the ability to control the body’s motions which can be lumped into a neuromuscular category. All of these symptoms might be reduced in days or weeks but the total resolution might take months or up to one year (or longer). The patient is rarely in a formal Physical Therapy program for the entire time that is required to fully rehabilitate an injury. Insurance, personal and work schedules and “life” in general usually force someone to stop the formal process. When the severity of the symptoms is reduced, the patient can be discharged to complete rehabilitation in a home-based program. Unfortunately, in many instances, the patient does not continue the program and experiences a “set back”. The “set back” can be marginal or extreme, but in most cases the patient has to return to a formal Physical Therapy program for a short duration of time to “re-learn” what they need to do on a daily basis to return to their pre-injury status. Going to a Physical Therapist is easy and does not require you to see your doctor first. The Physical Therapist is a licensed healthcare professional that specializes in rehabilitation techniques that are designed to help someone restore their normal functional capabilities. They will evaluate you and treat your symptoms. They will establish a formal Physical Therapy plan and prescribe a HEP that will help to re-inforce the activities of the formal program. The HEP is critical and needs to be performed daily (several times in some instances) to help to speed up the healing process and to re-establish normal function as quickly as possible. Upon discharge, the Physical Therapist will re-inforce the need for the patient to continue to perform their HEP for a set amount of time which will be based on the type of injury that is healing and the state of recovery that patient is in at the end of their formal sessions. Physical Therapy plans and the HEP component need to be followed diligently to get the best results. The patients must accept the fact that the reduction and resolution of the symptoms might not have taken care of the entire problem that caused the symptoms to occur in the first place. To totally eliminate and correct the underlying problem that caused the symptoms to arise the patient must remain faithful to their HEP for the time that was prescribed by their Physical Therapist.